No doubt that the smartphone enthusiasts have been pretty excited by the end of February. By the time MWC 2019 ended, there are two foldable phones coming to western markets. Apparently, they already exist in China but the technology took a bit more time to come on western shores. Those phones are also already 5G compliant. China has invested so much to the 5G race that it is competing with the US that it isn’t a surprise that their phone companies are already churning out 5G phones. One of these 5G foldable phones comes from a very familiar name: Huawei. Despite the troubles Huawei is experiencing with the US right now, it attended the biggest mobile technology expo in the world, the Mobile World Congress, this February, in Barcelona, Spain. 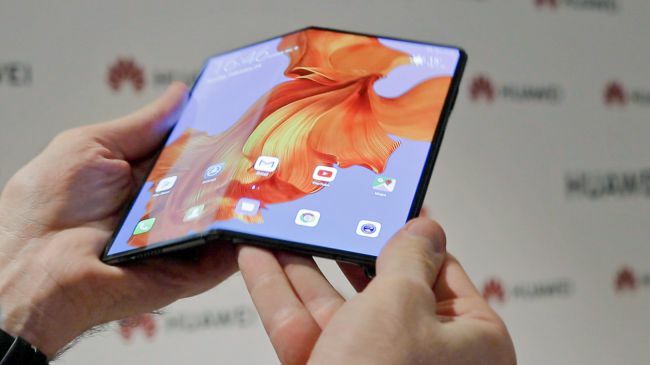 And what they brought to the stage was a shocker: a foldable smartphone that was bigger than the one Samsung presented a few days before, during their Unboxing event. 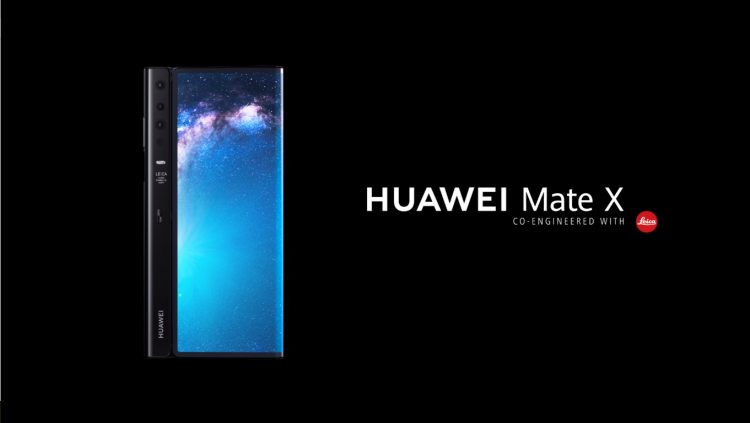 The “World’s Fastest Foldable 5G Phone.” This is the label Huawei decided to put on their new flagship smartphone: the Mate X. A thin, yet surprising juggernaut of 6.38-inch screen and 6.6-inch screen when folded, 8-inch screen when opened. 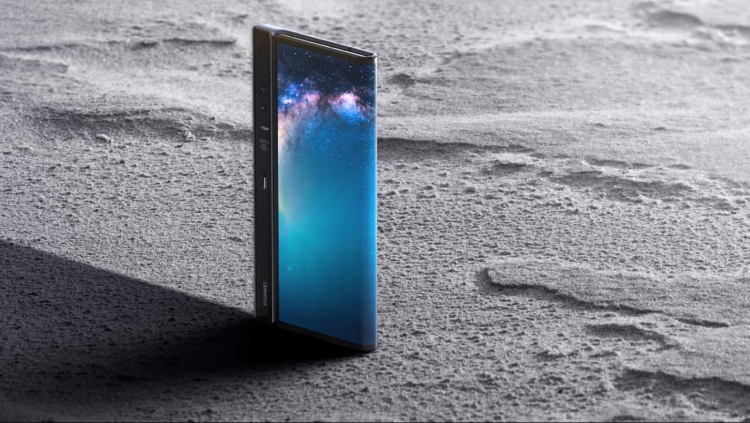 Huawei meant to compete aggressively with this device, as the presentation was also showing side-by-side comparisons with this year’s Apple’s and Samsung’s flagships. While Samsung’s foldable phone has a notch The Huawei Mate X doesn’t. Their patented Falcon-wing design allows the phone to be thinner than most foldable phones, and to have enough stability that when folded, it doesn’t leave any gap in between the two halves. The hinge is composed of over 100 parts that allow the phone to fold. One key aspect that foldable phones emphasize is the portability of a wider screen. And true enough, Huawei points out the same advantages with their Mate X. When unfolded, it can be used just like other tablets in the market. This means that you can enjoy the wide screen of a tablet anywhere without being bothered by the device taking up much space. Unlike the Samsung Fold, Huawei Mate X’s screen folds with the screens outside. so this means that the screens that you use are always the same ones. Powered with a much better battery than the Samsung’s, this could mean that the phone will have a more efficient battery life compared to its rival. The Mate X has 8 GB of RAM and 512 GB of internal storage, so whether you’ll use it for gaming, mobile productivity, or just collecting pictures and surfing the web, the Mate X can handle the task. In fact, it is powerful enough to let users split the screen into two and let the user use two apps side by side at the same time. For example, you can open your file explorer, and drag-and-drop files you want to upload from it to the browser. The core of the Huawei Mate X is something people already knew about last year: the Balong 5000. The details of the Balong 5000 was kept secret during their presentation in IFA 2018. But in CES this year, they finally revealed the specs of what they claim to be is the “Most Powerful 5G Modem” in the market. It is a 7nm multi-mode modem that supports 2G, 3G, 4G, and 5G. And it is the fastest in the world in any of those modes. But that’s not all that’s inside the Mate X. They also added the Kirin 980, which is Huawei’s other 7nm chip and the sequel to their Kirin 970. It uses ARM’s Cortex-A76 CPU with a Mali G76 MP10. The Kirin and Balong are products of Huawei and their answer to the ban the US gave to both them and ZTE, preventing them from buying chips from US producers or chip makers that buy their raw materials from the US. Overall, Huawei Mate X is a very impressive piece of technology and definitely worth checking out if you want to try a foldable phone. The Mate X will be priced at around $2500.